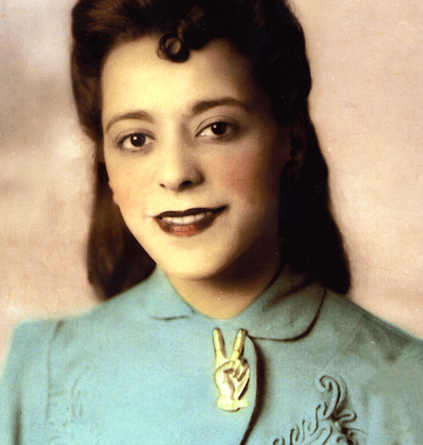 The announcement that Viola Desmond will grace Canada’s ten-dollar bill has brought her story to the attention of a new generation of Canadians. It is a story of profound courage and resolve that Iain MacLeod and Brian Murray, two Nova Scotian filmmakers, have told in different but equally compelling ways. MacLeod’s film was a drama shot in black and white back in 1996, whereas Murray’s film is a documentary made in 2012 for his employer, Communications Nova Scotia, to commemorate Canada Post issuing a stamp in Desmond’s honour. Both films run about 45 minutes. MacLeod took an oblique approach “November 1946,” never showing the actual incident itself but rather letting the word “spread around the town.” Ultimately he used Desmond’s narrative to set up the tension in order to portray an inter-racial romance. The film was an ambitious costume drama that played to a packed house at the 1996 Atlantic Film Festival. Its unusual length and rough language made further distribution a challenge, and sadly it is mostly unseen today. I remember it vividly, however, as it marked MacLeod as a filmmaker of vision and substance. For Murray, the story of Viola Desmond was one that needed to be simply and directly retold using modern-day documentary techniques. Because there is little to no footage of Desmond herself, Murray used a blend of dramatic re-creations, punctuated by expert ‘talking head’ testimony and period stock footage. Perhaps most importantly, Murray’s “Long Road To Justice” provides more depth and insight to a story that continues to gain resonance and momentum. As national audiences now catch up to speed with the narrative, we can all consider the extraordinary contribution Viola Desmond has made to Canada’s cultural fabric.